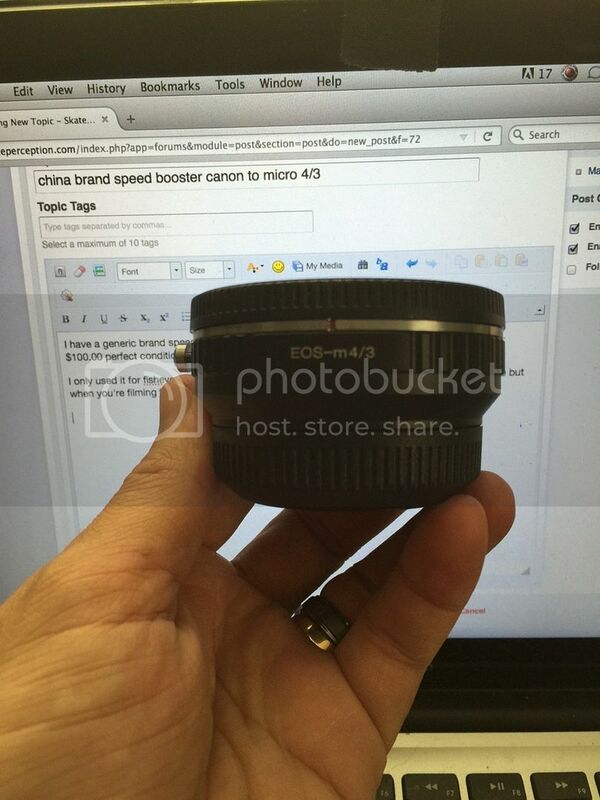 I have a generic brand speed booster that I used before I bought a metabones a few years back. 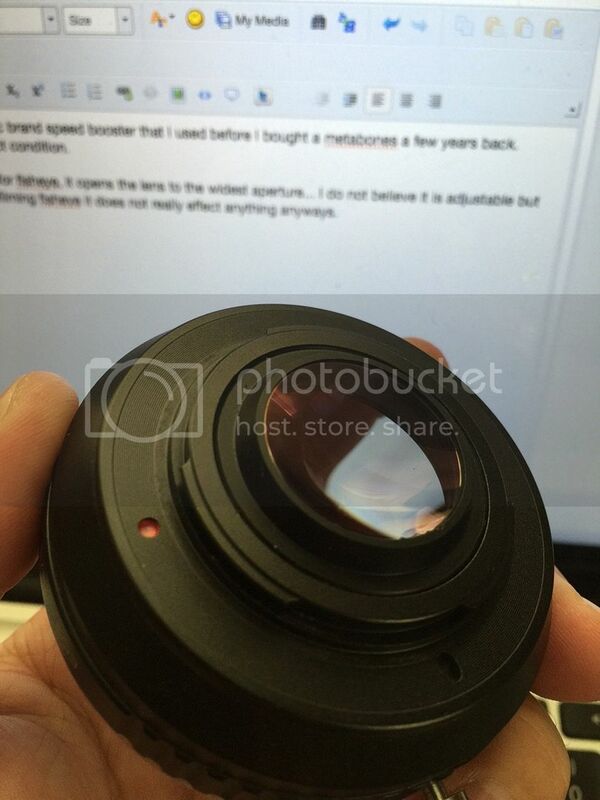 I only used it for fisheye, it opens the lens to the widest aperture +1 stop extra... I do not believe it is adjustable but when you're filming fisheye it does not really effect anything anyways. 100$ and you pay for shipping or if youre in the area, you can meet up with me in Chino, California. 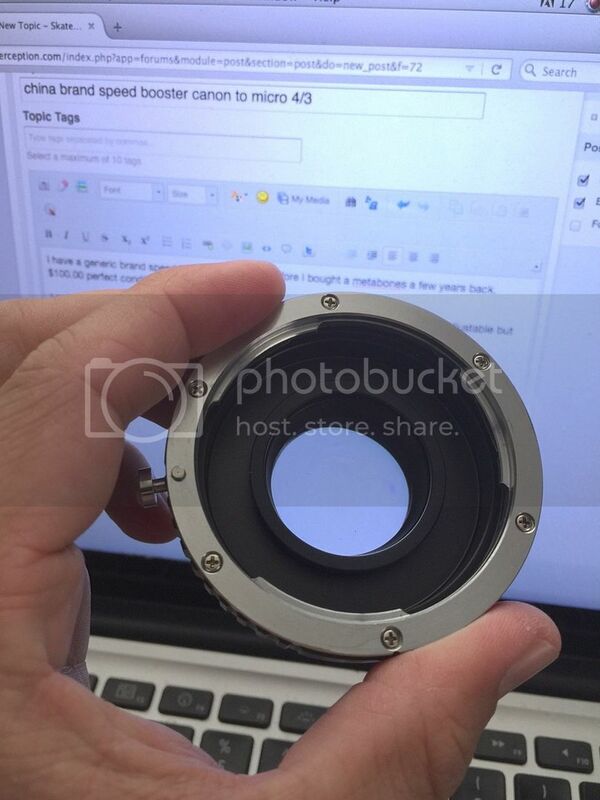 I dont have a box and im not sure if i have lens caps for it.. ive always left my metabones caps on it since it was in use and this has been sitting around.